I happened to notice that LeVier flew the XP-80 (see the earlier article about XP-80A, 44-83020 Lulu-Belle elsewhere in this blog) but it’s a little better than that. According to This Day In Aviation, Lulu-Belle was first flown by LeVier at Muroc Army Air Field (now Edwards AFB) on 8 January, 1944. 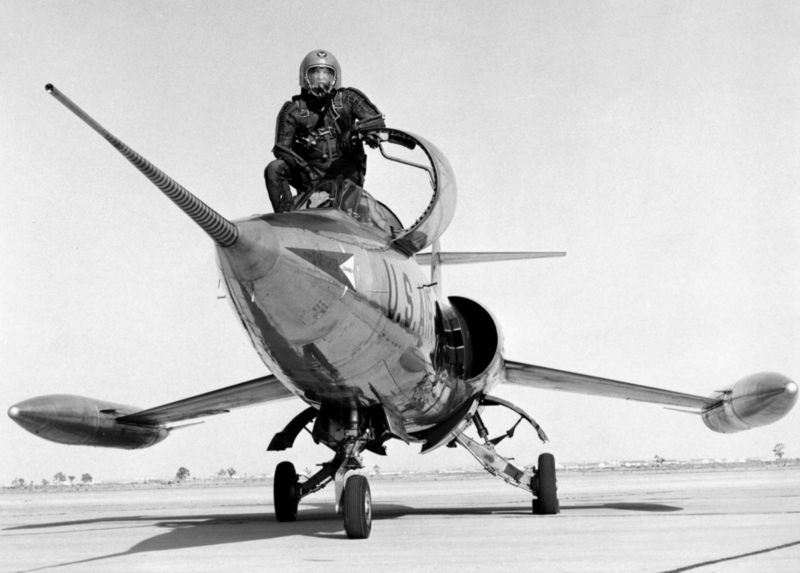 As a test pilot for Lockheed, LeVier was also involved with one of my favorite aircraft of the 50s and 60s, the F-104. I can’t describe why I like it, and certainly in the “missile with a man in it” competition, my heart also belongs to the English Electric Lightning, (and having said that, I feel another article may be on the way) but the polished silver F-104s with bright USAF markings and heraldry appeal to some part of my aesthetic sense. 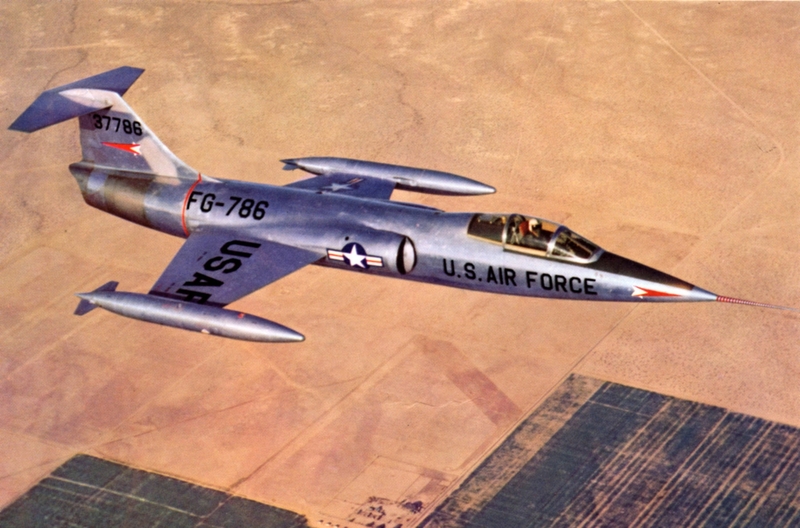 I’m sorry I never managed to get a big F-104 model from my local Walmart when they were on sale. Actually I never saw them in my local Walmart. And (below) here is the beast in its element. I have no idea who’s flying it in this picture but no doubt I will find out. Another couple of F-104 snippets courtesy of “This Day” author Byron Swopes. XF-104 53-7786 was destroyed on 11 July, 1957 when the vertical fin was ripped off by uncontrollable flutter. 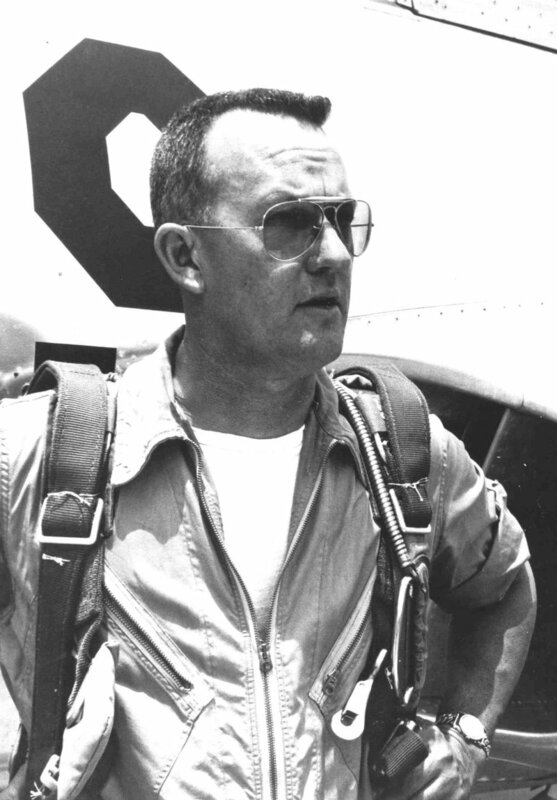 The pilot (not LeVier on this occasion) ejected safely. Tony LeVier died at the age of 84 on February 6, 1998, having survived eight crashes and one mid-air collision in his flying career. Today’s post is dedicated to his memory.